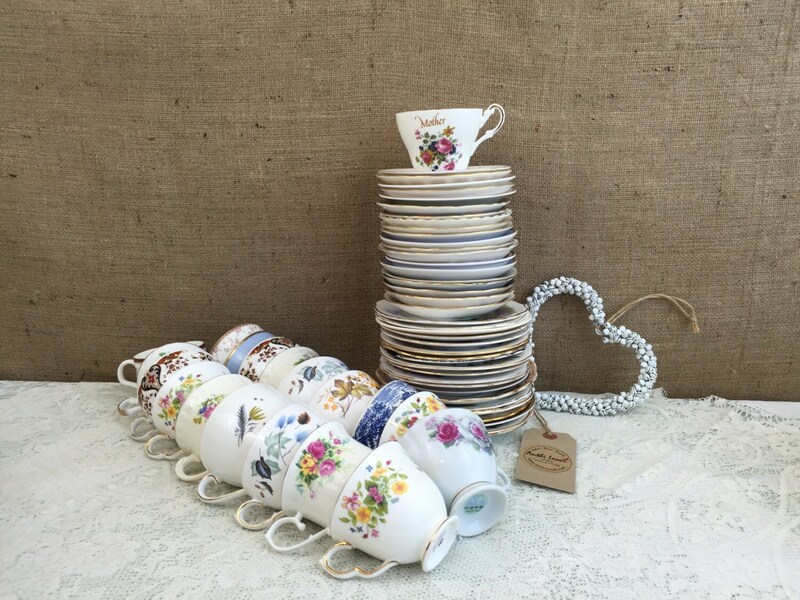 A job lot of 60 pieces - collection of 20 mismatched vintage china tea trios, including tea cups, saucers, and side plates for weddings, tea parties, events, cafe and tea shops. 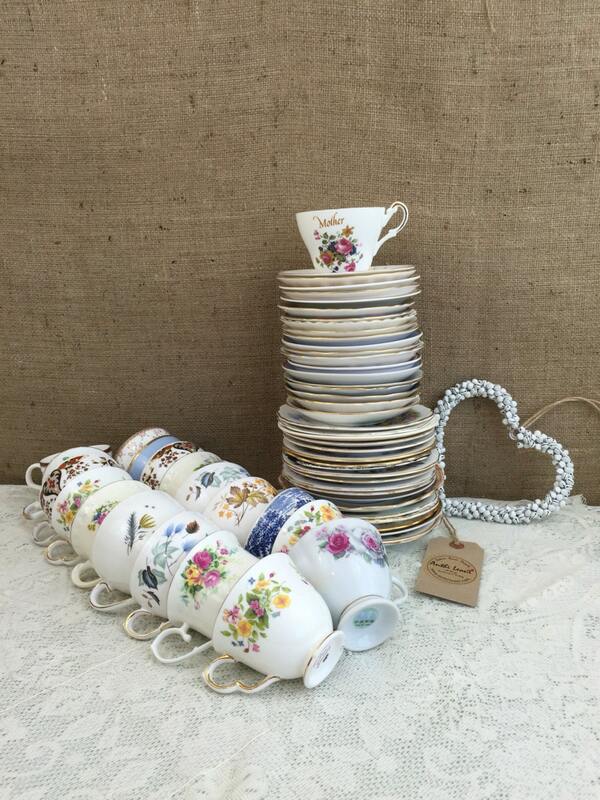 This is a set of mix and match china tea trios. I have hand picked the sets and try and match them up as so each set has a complimentary matching pattern but they are not matching. 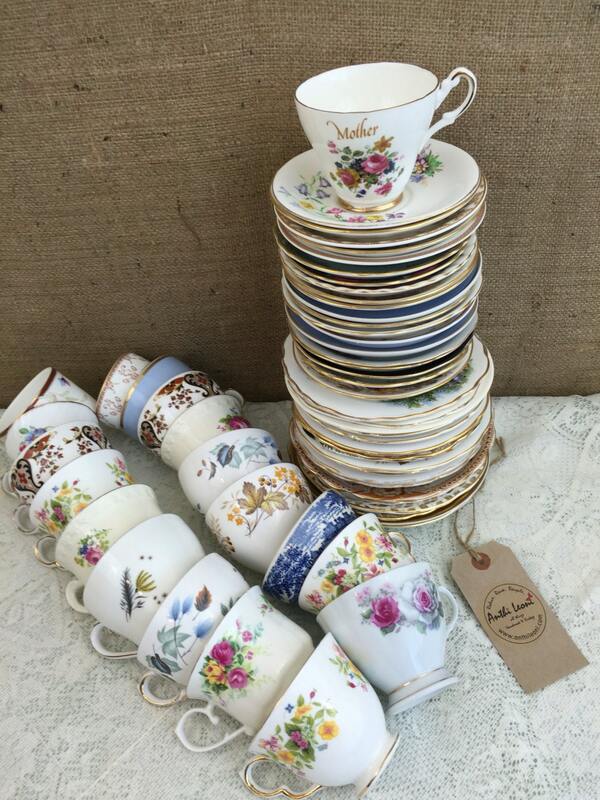 China may range in age from 1900s - 1960s and is a variety of fine bone china, bone china, and ironstone china. 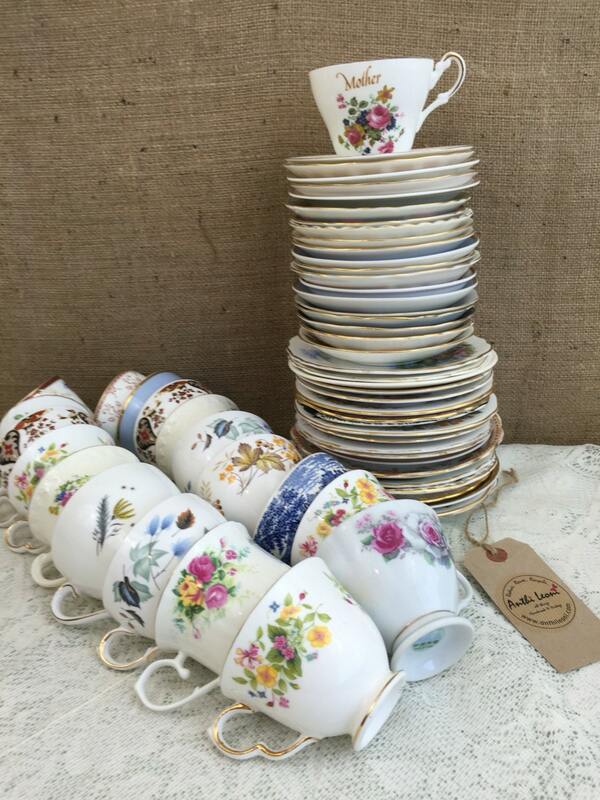 Pretty china tea sets with many pieces having gold detailing and floral patterns. 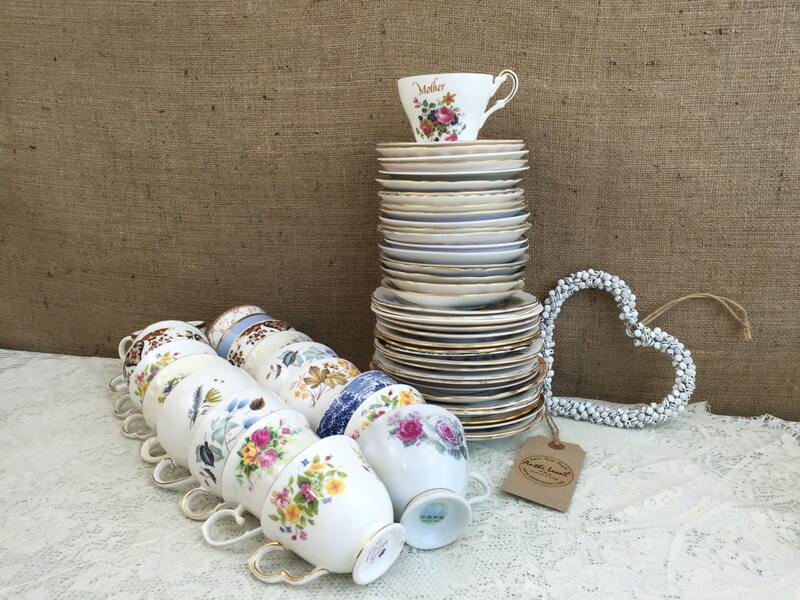 As this is vintage china there may be grazing, colour fading or discolouration to the gold / silver gilding, however, rest assured the china is in good condition with no chips or cracks. I pack each item carefully in paper and then bubble wrap and board. Your items may come in a number or boxes so as not to make each box too heavy. Shipping costs may vary. I can't give an exact amount particularly for international shipping until everything has been packaged and boxed so please be aware there may be additional charges or a slight refund on shipping. If you have any questions please convo me before purchase.